There's absolutely no reason to be surprised by news that Warner Bros. has officially confirmed Wonder Woman 2's release date, except that they actually took their time doing it. Over the weekend at Comic-Con the sequel was listed among their upcoming slate, so it was clear an announcement was on the way, and here it is. 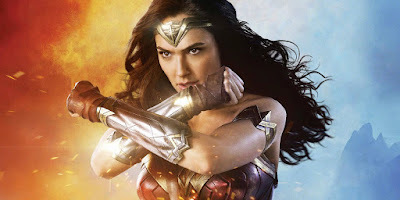 Wonder Woman 2 will hit theaters on December 13th 2019, an interesting date given how well the first film continues to do over the summer. Patty Jenkins has been helping Geoff Johns hammer out a script, so we can expect her to return to direct Gal Gadot as the Amazonian warrior and current most popular character in the DCEU. Sorry, Batman, but you know it's true. The story will reportedly take place in the '80s. This also means Wonder Woman 2 won't be occupying one of those two new release dates in 2020 as many expected, including me.